The Rebel Sweetheart. : Trend-spotting | Fresh and Simple for Spring 2014. Trend-spotting | Fresh and Simple for Spring 2014. Natural makeup. Fresh-faced look. Glowing skin. These, according to my favorite fashion magazines, will be all the rage for Spring 2014. And that may really be the case, as we saw a lot of (almost) bare-faced beauties walk down the runway of New York Fashion Week. Also, the likes of Heidi Klum, Reese Witherspoon, and Naomi Watts turned heads while sporting the 'au naturel' look - flushed cheeks, peachy lips, healthy-looking skin - in the recently-concluded Golden Globe Awards. Aside from the 'no makeup' makeup look, fashion and makeup experts at Elle and Allure also say that pastel eyeshadows, and red and orange lip colors will also be popular this year. And judging by MAC's soon-to-be released Fantasy of Flowers collection, I guess they were right on the money. Now as for our beloved Korean makeup brands, they too, have their makeup/cosmetics collections all set for the change of the season. And here are some of them. Pure Radiant Shadow #2 Shiny Gold. 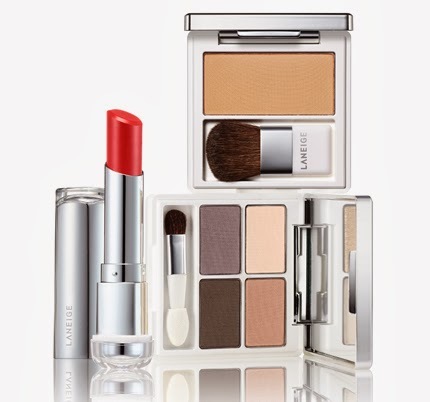 Laneige's 2014 Color Makeup Series is all about achieving 'natural Korean beauty' with its comprehensive range of eyeshadows, blushes, and lipsticks. 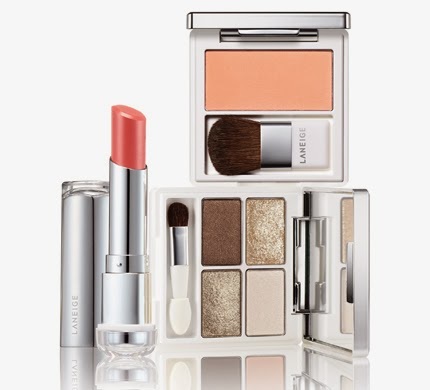 This collection features 7 eyeshadow palettes, 6 blushes, and 20 vivid lip colors. Pure Radiant Shadow #6, Classy Mood. 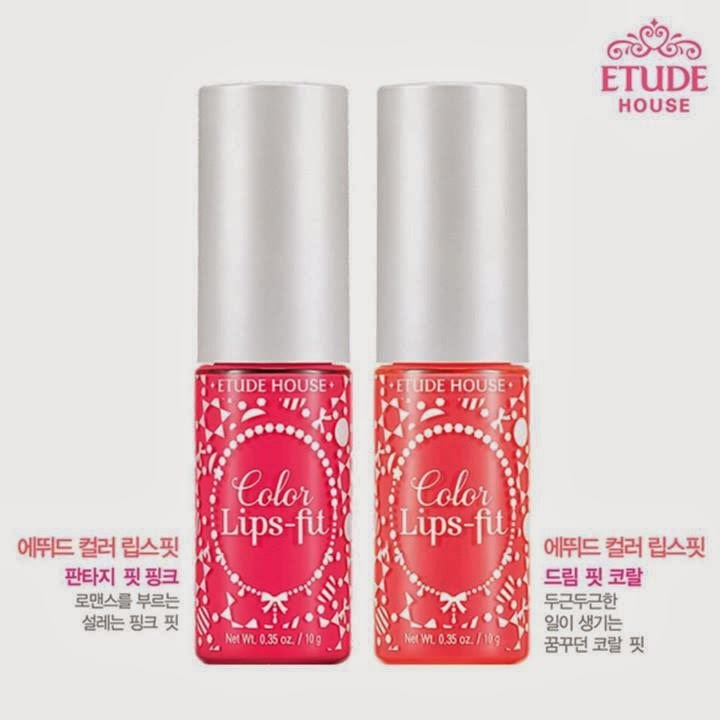 Fun and playful is what best describes Etude House's Color Lipsfit, which was released today (January 29) in Korea. There are seven different variants in this new collection, each with vivid colors and 'weightless' feel on the lips. RD 301 Perfect Red, OR201 Coral Dream. 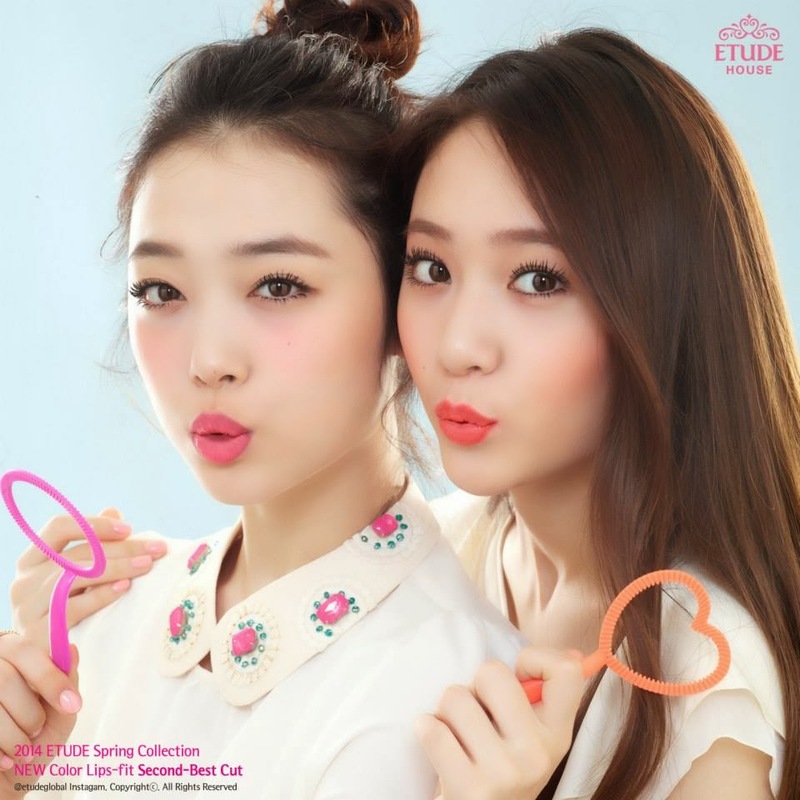 Sulli and Krystal for Etude House. 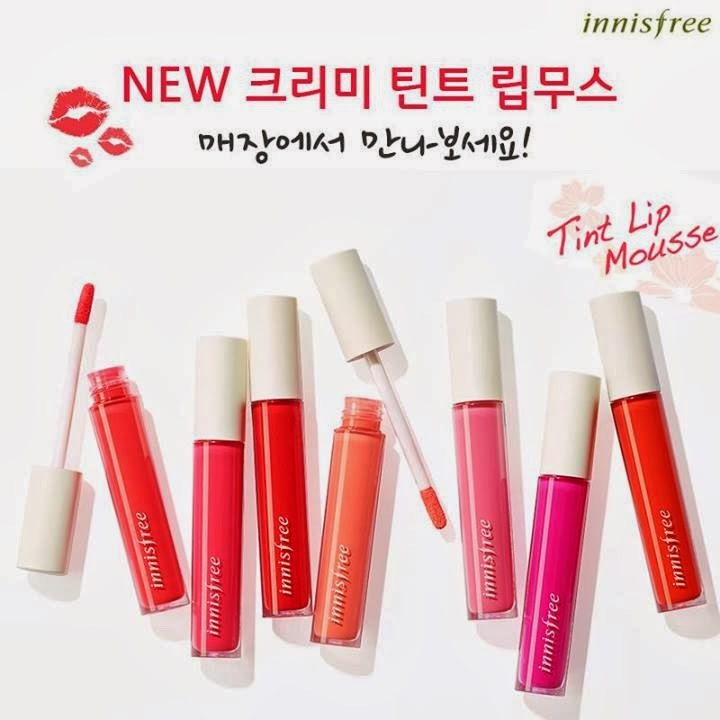 Earlier this month, Innisfree also released a new line of lip colors, which they call Tint Lip Mousse. They're 'lipsticks with mousse-like formulation' according to the Innisfree website. Simply put, they're lip creams with rich colors and velvety, matte finish. The Laneige natural shades look delicious! That's my kind of color palette. I'm not much into lipgloss, more of tinted lipbalm ako. i'm one of those "all-natural" people, but i love these products! Gorgeous lip colors! I live in the US, but two of my closest friends live in Korea. I bet they'd send me some makeup, if I asked! I like make up but don't like to the "heavy" look. These look like a good product to try. I wish I had the complexion to pull off oranges, but I don't. I like the pinks though. wow i didnt know that Laneige is korean pala :) im thinking of trying their moisturizer as soon as the current one im using is all used up. we shall see :) problem lang is its only available in MOA if im not mistaken? I am excited to try Innisfree. :) Oh em, a lot of new makeup to try! Wow, this lip mousse looks interesting. Comaparable to MAC lip glass or nyx lip creme based on the packaging.